Interview tomorrow and giveaway of any one of her ebooks, reader’s choice. Reader must comment on question from Jessica Lauryn. About The Author: Jessica Lauryn enjoys creating stories that have dark heroes with demons riding them hard. Her heroes usually reform through the process of falling in love and conquering the demons. The Pinnacle Towers Series consists of five books. In chronological order: Dangerous Secret (not yet published), Dangerous Proposal, Dangerous Proposition, Dangerous Ally and Dangerous Magic (not yet released). Jessica will be interviewing with BOOKTALK WITH EILEEN tomorrow. Stop by to learn more about her and have an opportunity to receive one of her books, winner’s choice. My Thoughts: The story started at a slower pace, but quickly gathered momentum as it unfolds. Even though the book is slated as a romantic suspense, Jessica has created a story which includes mystery and paranormal events, giving us a richer, multi-dimensional read. As the story unfolds the characters and reader are not privy to the forces behind what is happening which only creates more suspenseful tension. This one was a hard book to put down for the evening. It was well conceived and its plot was laid out so the reader can easily understand what is going on, but not WHY it’s going on! I enjoyed the introduction of new characters throughout the story which helped the reader to weave together what happens. But Jessica outwitted me. The story doesn’t end at all like I thought it would. Jessica Lauryn gave us a lovable heroine, Lena Benson. Her need to escape the evil she found herself in and how she dealt with it created a strong and loyal individual who was able to survive. I started out thinking that Alec was a real jerk. And he was, but as in any good story character development takes place and we get to see the slow shift of who he was to what he was becoming which gave me hope that he wasn’t such a bad guy after all. And as Jessica Lauryn believes in happy ever after stories, Alec became someone who Lena could sincerely love. I’m so pleased that I picked this book to read. Jessica Lauryn’s plot had twists and turns and had me guessing and FAILING to locate the really, really bad guy in the story. I am thrilled to have her join us tomorrow in an interview. Don’t miss it! 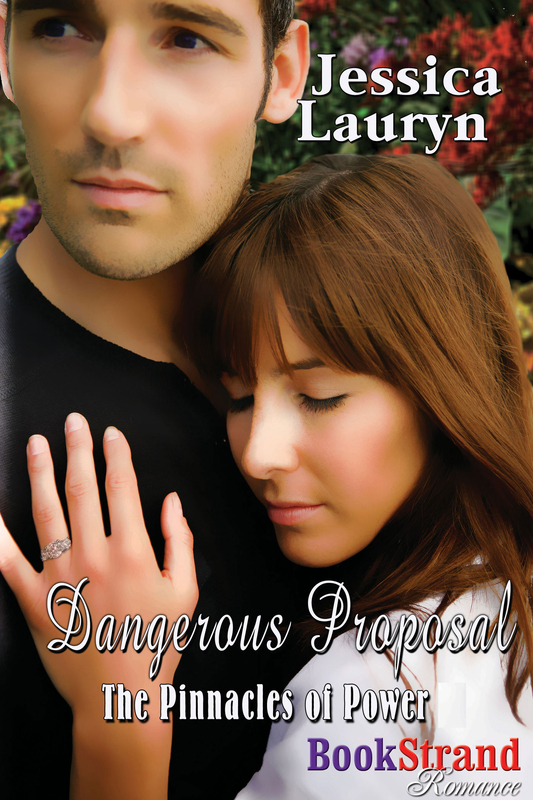 This entry was posted in Book Reviews, Uncategorized and tagged Book Review, Contemporary Romantic Suspense, Dangerous Proposal, Jessica Lauryn. Bookmark the permalink.